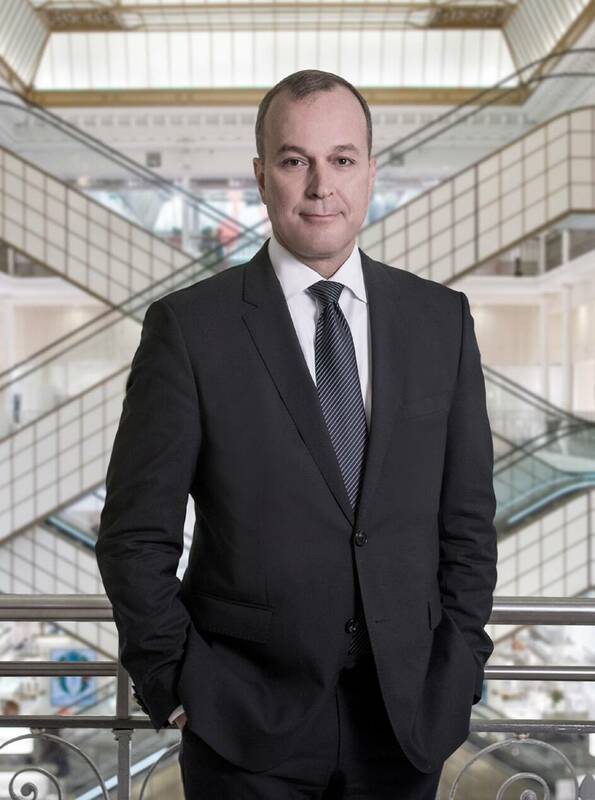 Housed in elegant surroundings in the heart of Paris, La Grande Épicerie selects and creates exceptional products every day. 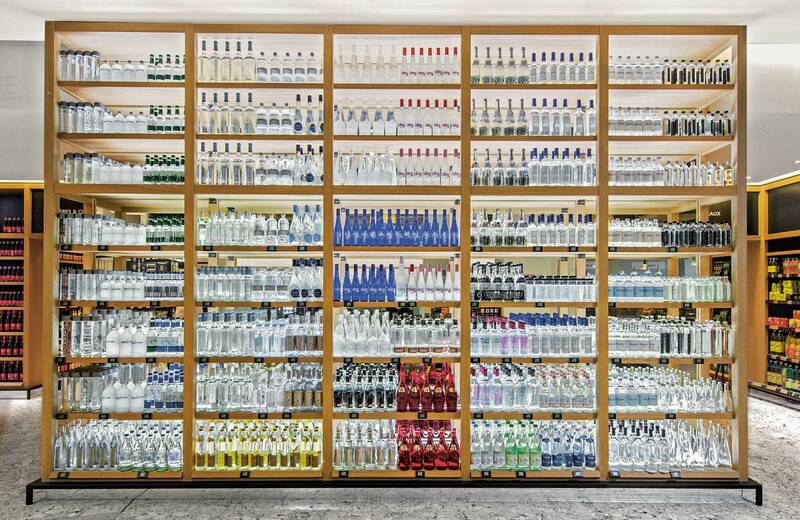 Strolling along its aisles is a unique experience, a magical moment. 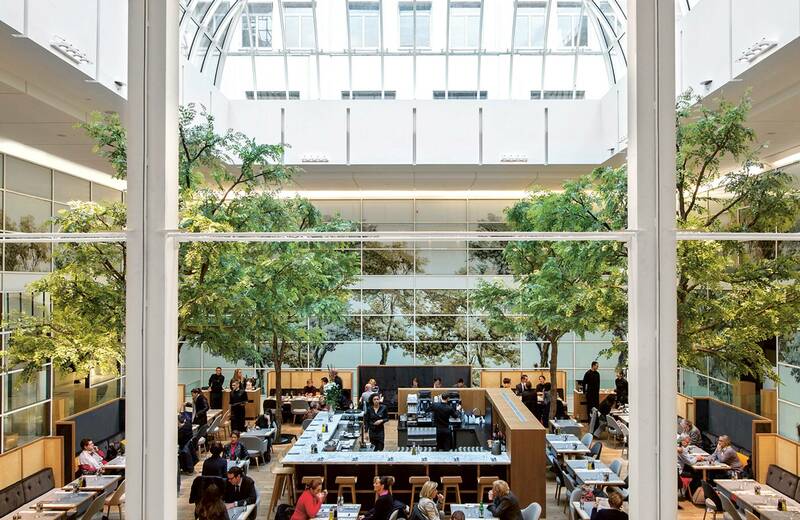 Since 1923, the ground floor of Le Bon Marché Rive Gauche has been home to a uniquely refined food hall covering an area of 3,500 m². 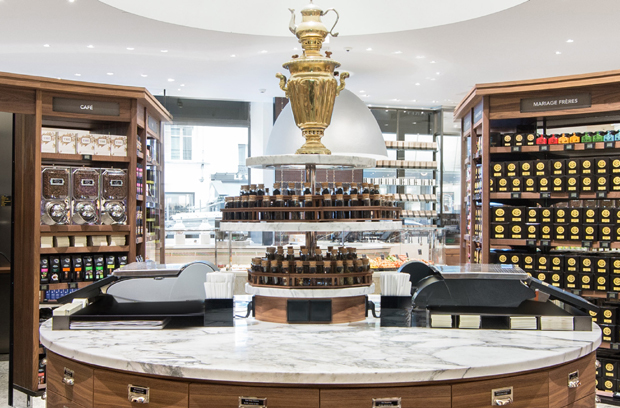 A true landmark for the capital, La Grande Épicerie de Paris offers a range of 30,000 products from all over the world, often exclusively, or made on the premises. 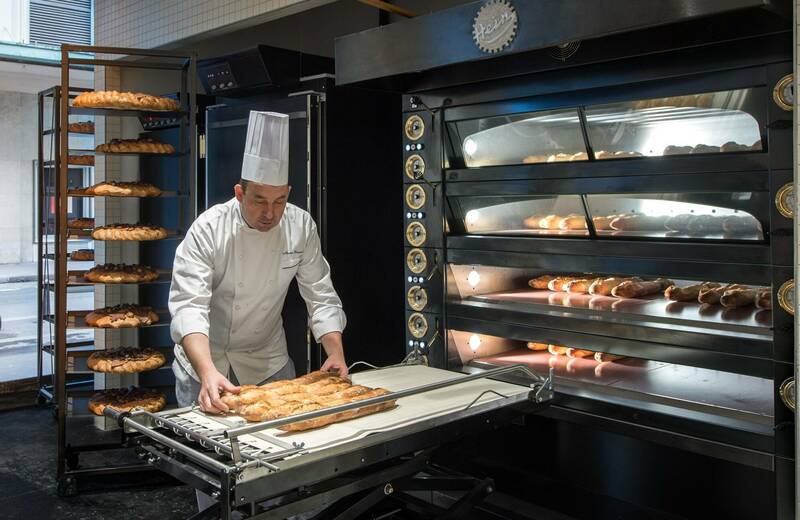 Every day, pastry chefs, cooks, bakers and apprentices work under the guidance of Jean-Jacques Massé, holder of the title Meilleur Ouvrier de France (Best Craftsman of France). Each member of the team strives to achieve excellence and create the most unexpected recipes while maintaining a respect for tradition. As for the House’s ‘product experts’, these walking encyclopedias of good taste constantly travel the length and breadth of the globe in order to bring back unique discoveries from their travels. 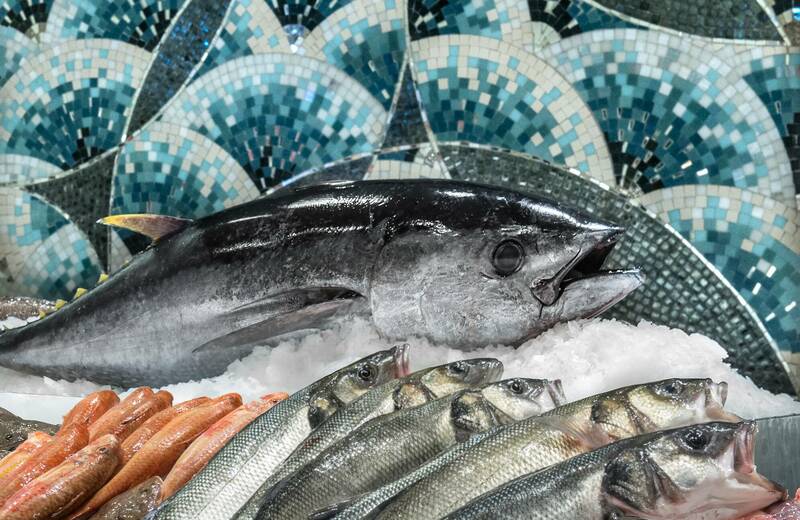 After 18 months of building work and the creation of the wine cellar in the shop’s basement, the ‘Le Balthazar’ wine bar and the ‘La Table’ restaurant, directly connected to the Bon Marché’s Menswear department, the new Grande Épicerie is more dedicated than ever to being an unmissable destination for all food lovers. 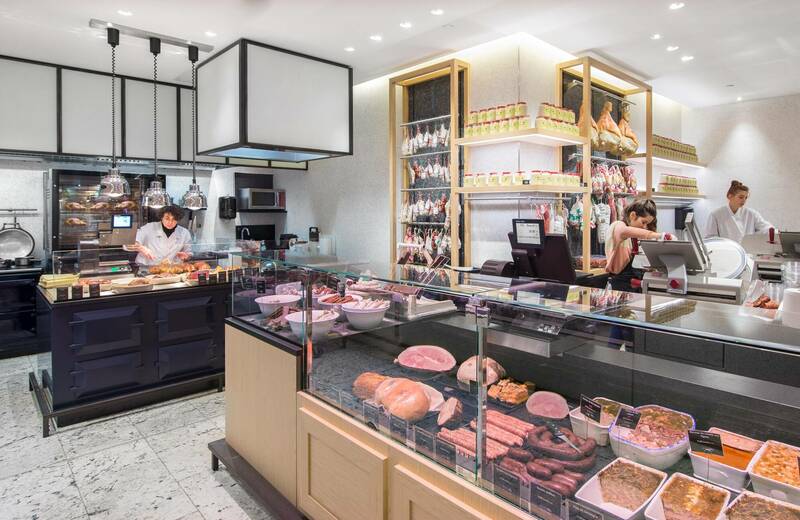 The Place du Marché fruit and vegetable section was created in the spirit of French covered markets to highlight the regular new arrivals of fresh fruits and vegetables. 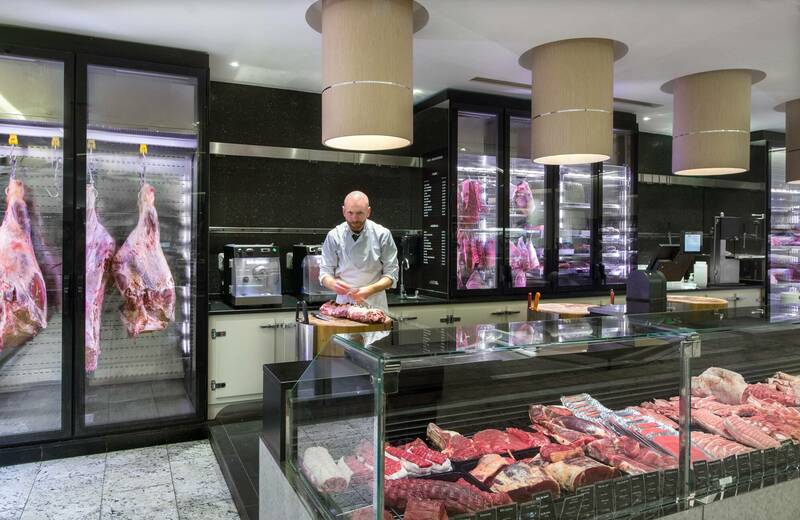 Located at the heart of the bakery, meat and fish counters, it offers a unique visual and tasting experience. Moved in part from the shadows into the light, the laboratories of La Grande Épicerie de Paris also display their savoir-faire on the rue de Sèvres and the rue du Bac. 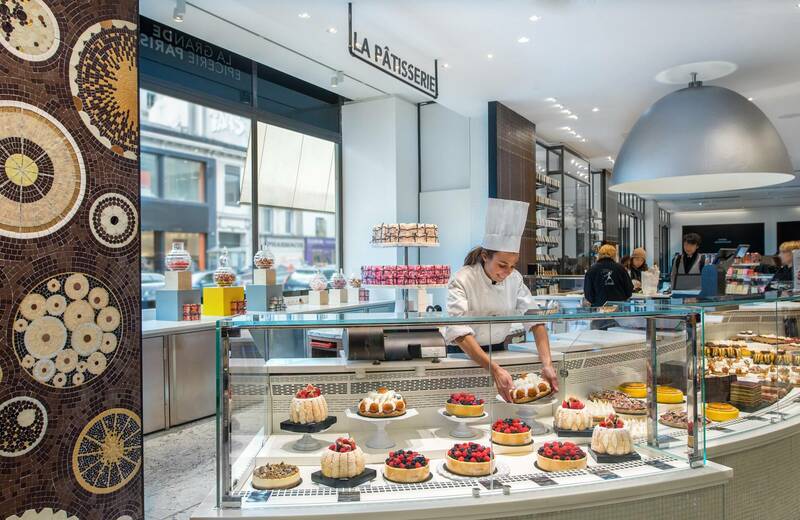 Under the gaze of passers-by, the chocolatier molds bespoke chocolate bars to order, the pâtissier dresses his creations with finishing touches and the baker places one of 60 varieties of bread in the oven. 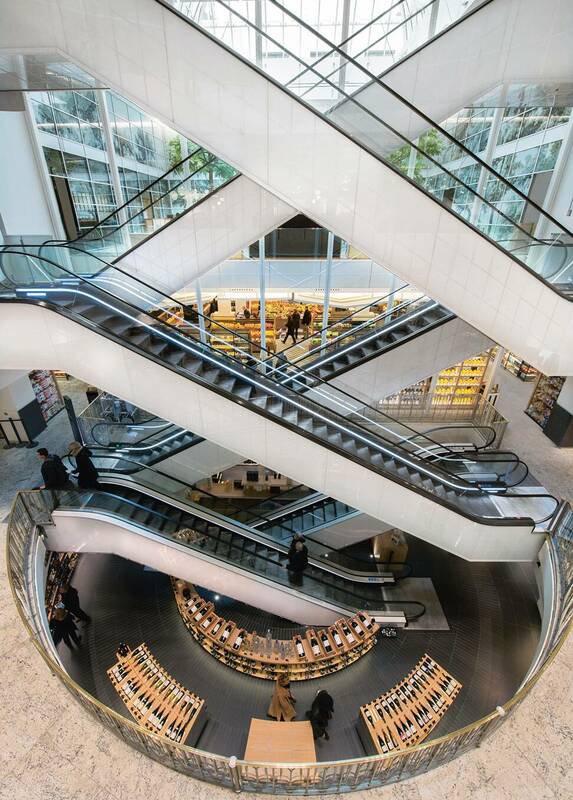 The artisans inspire, both in their show laboratories and behind their appropriate counter. In each specialty workshop they become sales representatives serving the public, equipped with their traditional tools, exceptional products and with their laboratory as a backdrop. Their delight? Sharing their savoir-faire. 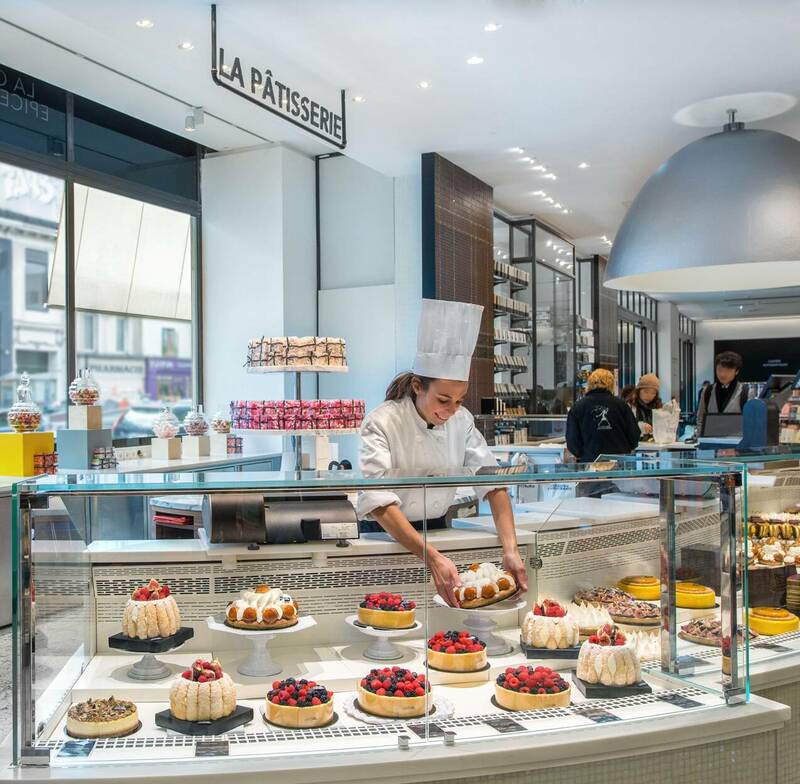 In addition to its unique gourmet selection, La Grande Épicerie de Paris now offers privileged baking, patisserie and gastronomy workshops. 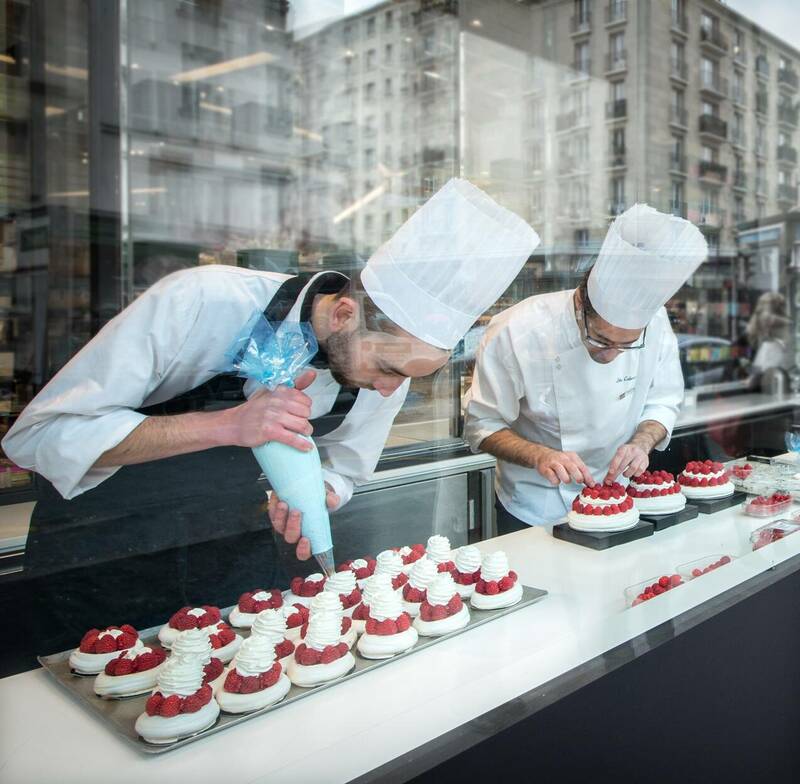 In the kitchens of the La Table restaurant or the show laboratories on the rue de Sèvres and the rue du Bac, La Grande Épicerie de Paris’s chefs share their passion and savoir-faire with gourmets, adults and children alike, and with them create unique recipes inspired by a theme or seasonal product. 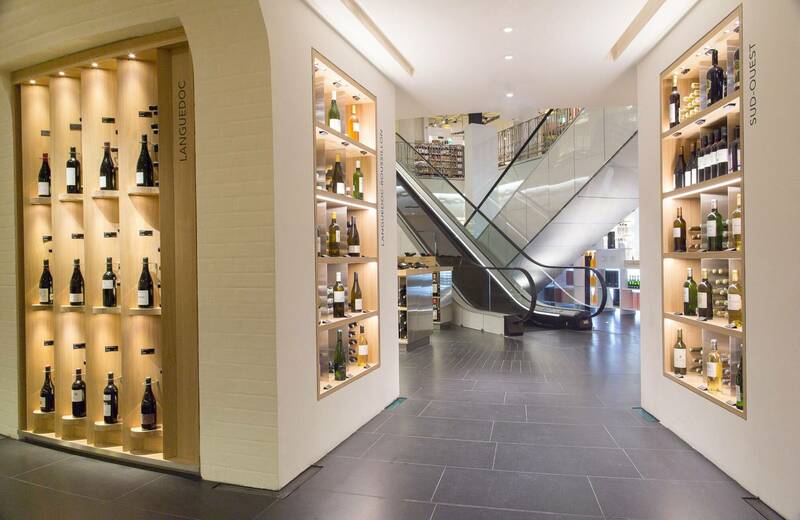 Wine and champagne lovers can also enjoy an introduction to the art of wine tasting with a professional from the La Grande Épicerie de Paris’s wine cellar.